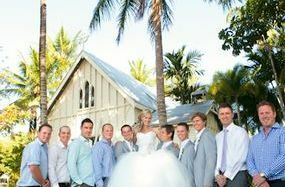 Australian Dream Weddings - The Experience Australian Dream Weddings specialises in assisting couples from all over the world, dreaming of a romantic, unique and beautiful wedding in Australia. British sailing ships arrived a mere 200 years ago and the secret of this big, beautiful island in the South Pacific got out. Now the Brits and a 120 other nationalities call Australia home making it one of the most multicultural countries in the world. The rich cultural blend of fashions, languages and cuisines colour the streets. The Aboriginal people have lived here for around 50,000 years and are believed to be the oldest, continuous civilisation in the world. While you're here, take a walk with an Aboriginal guide to learn about their special relationship with the land, and their spirituality. Hear the stories handed down from generation to generation and see their rock art which is the oldest in the world. Come and share the fun, romance and adventure in a destination-wedding and honeymoon down under. After your wedding, sharpen your spirit with an adventurous Aussie honeymoon...one you will never forget...and one that will leave you wanting to come back again and again, for more. Take a boat ride in one of the tropical rivers up north where crocodile eyes watch as you glide by. Sit under long slivers of water plunging over sheer, red cliffs into pools of amazing clarity and coolness. Drive for hours through red deserts where kangaroos, lizards and emus live and the sky is so big it overwhelms. Sleep in a "swag" under stars so crisp they cut like crystal. Walk though rainforests so old the plants go back to a time before Australia was an island. Walk the Tasmania wilderness and understand why people come from around the world for this experience. Allow yourself to be enclosed in a cage and lowered into water where white pointer sharks lurk. Join the crowds on the beach and ride the waves or just sit and look gorgeous. Snow ski among gnarled and twisted native eucalyptus trees. Dive or snorkel on the largest coral reef in the world - the only earthly structure visible from outer space. If you're a thrill seeker try rock-climbing or abseiling. White water rafting, bungy jumping, ballooning, parasailing and horse riding are also popular. However don't try to drink more beer than an Aussie - you won't win! Australia has 36,735 kms (22,812 miles) of coastline, more than 3000 national parks and reserves and 11 World Heritage sites. It's easy to lose yourself in nature and meet eyeball-to-eyeball with native birds and animals. Many of the national parks are close to, and within, cities. Some, such as the Blue Mountains National Park with its wildly spectacular mountain trails and scenery, are only an hour train ride from Sydney. Others can be reached by private car or you can join one of the many tour companies which go into the parks for a few hours or a few nights bush walking and camping with nature. Go wild with the wildlife. It's unique and fascinating. There are kangaroos which hop along, fluffy koalas which spend most of their lives asleep up gum trees, wombats which look like big, square dogs, platypus a river dwelling mammal with a duck-like beak and fur, dingos with golden eyes and emus with big eyes and a punk hairstyle. Among the 800 or so bird species that call Australia home there are the kookaburras which laugh like people, the elegant brolga which has a magnificent mating dance and the pretty grey and pink galah which likes to clown around - if an Aussie calls you a "galah" it means you're a bit silly. Click your camera at the man-made icons - the Opera House and the Harbour Bridge in Sydney; the glitzy Gold Coast with its theme parks, sidewalk cafes, golden beaches and bronzed lifesavers and the 7.5km Skyrail which glides above the rainforest near Cairns. De-stress. Visit this land where you can walk with nature, breath unpolluted air, swim in crystal clear waters, shop in sophisticated cities, eat fantastic fresh food, watch world class entertainment and enjoy the company of fun-loving, friendly people.